opportunities are in relation to their successes today. These stories are snapshots, one from each year of PYN’s history. They represent a mere glimpse of the much larger landscape. These 20 voices represent the impact of the nearly 200,000 experiences we have provided to date, and we know there are many more ahead of us. In sharing these snapshots, we are celebrating the incredible talent that Philadelphia is producing. For each story that you read, we invite you to join us in celebrating not only these incredible individuals, but also the thousands of young people who have similar stories, backgrounds and, most importantly, bright futures. As we look back at the past twenty years, we share gratitude to those who helped make these successes possible. Looking ahead, we ask you to join us in creating even more opportunities so that every young person can develop the skills needed to accomplish their personal successes, meet economic demands, and transform our communities. DeAndre Jones As a participant of YouthWorks, PYN’s original employment program that evolved into what is known today as WorkReady, DeAndre Jones received his first job opportunity at age 14. “Working then made me realize that I always wanted to have a job and ever since that summer, there has never been a period of time that I didn’t have a job,” said DeAndre. “I am proud of that.” That first summer, he worked for the Free Library of Philadelphia’s Library for the Blind and Physically Handicapped. He helped manage the institution’s book warehouse by properly re-shelving returned books and searching for the books that were requested by customers. As he sits in his office, he cannot help but smile, reminiscing of his internship that taught him the necessary skills to be successful in the workplace. work with every paycheck he earned. “You get a paycheck, but I had to be mindful that I needed to make that money stretch until the next paycheck,” said DeAndre. While learning important power skills, DeAndre also discovered the satisfaction in helping people, specifically the library patrons. The Free Library gave him the opportunity to make an impact on his community. This desire to help others has continued throughout his professional path. Previously, DeAndre served as an academic advisor at Temple University and was a director of undergraduate student services at Rosemont College. Currently, he serves as an Assistant Dean at the Community College of Philadelphia, and aids students who face barriers by guiding and ensuring that they stay on track to graduate. His position allows him to manage programs that provide nontraditional students with access to higher education. He currently serves as the worksite coordinator for the summer jobs program at CCP, ultimately giving young interns a work experience like the opportunity he had. Greg Hopkins Being the oldest of six children, Greg had to take on a lot of responsibility as a teenager. He was first connected to a summer job through school. “Getting my first paycheck was gratifying, rewarding and definitely needed,” said Greg. “If I could get a couple extra dollars I could alleviate some financial burdens on my parents and be able to do a little more for my brothers and sisters.” Greg’s family moved around North Philadelphia a lot from neighborhoods such as Olney and Cecil B. Moore. In addition to working a summer job, Greg would work as a bus boy in a seafood restaurant in Old city since ninth grade. Through the ACES program, a pilot program focused on dual enrollment in partnership with the Community College of Philadelphia, Greg worked at the Please Touch Museum for about a year and a half. One day out of the week during the school year, they would work in a different department of the museum, while during the summertime, they would work four or five days out of the week. This gave Greg the opportunity to give speeches in front of children and put on shows, take trips to other museums around Philadelphia, and participate in the Outward-Bound experience, where they went away for about a week. to learn how to communicate and speak in front of crowds.” The program taught Greg many skills including how to communicate, how to manage time between working and going to school and prepared him for interviews. In 2004, Greg graduated from Thomas A. Edison High School, and continued to work at the Please Touch Museum and the restaurant. After two semesters at community college for computer graphics, something that his internship inspired him to do, he had to leave due to health issues with a family member. After the program ended, he had a job as a dietary aid in a nursing home, then went to work for the City of Philadelphia’s streets department. During his time there, he was able to get his Commercial Driver’s License (CDL) to drive trucks and manage the trash routes throughout the city. In early 2019, Greg decided to transition from the street’s department to fire department. “I always had an interest in helping people,” said Greg. “Even when I had a job that didn’t necessarily require it that much, so I thought that this would be a good opportunity to put that to use, which I think is one of my stronger qualities.” He has since completed his third week in fire academy and believes that this career choice is the best for him and his family. Greg has been married to his wife for eight years and has three children ages 11, 10 and 6. Odelia N. McFadden secure reasonable accommodations set the foundation for her decision to put on the uniform and provide support on the front end. Odelia commissioned into the Navy as a Lieutenant in July of 2016, completed her predoctoral internship at Walter Reed National Military Center in 2017, and is currently stationed at Naval Hospital Camp Pendleton in California where she provides psychological services and treatment to sailors and marines. Upon passing her licensing exam, Odelia will be a Navy Clinical Psychologist. Jocelyn Barnett Jocelyn Barnett is a proponent of hiring high school interns at organizations and uses her voice in the human resources department to explain how programs, like PYN’s, help young people gain realworld work experience and create a talent pipeline for the business. Her first summer job was at a summer camp where she worked with campers who were under 5 years old. The following year, she was connected to Children’s Hospital of Philadelphia (CHOP) through PYN’s employer paid internship program. During her time at CHOP, she helped out with an interview day and planning the logistics of what goes into putting that together. Her supervisor during the program learned that she had an interest in becoming an emergency room pediatrician and was able to set up a shadowing session. For four hours one night, Jocelyn followed an emergency room pediatrician at the hospital. She was thankful for this experience, because she learned that it was not what she really wanted to do, and that she really enjoyed working in the human resources department. CHOP which led to a permanent position while she finished her degree at Temple University. One of the benefits of working at CHOP for 11 years, was tuition reimbursement which helped her to pay for her education. Jocelyn moved around a lot and grew up in a lowerincome household. “Knowing that made me realize that I had to work harder than some of my other peers,” said Jocelyn. “I was going into college having only taken one AP course, because they just weren’t offered at my neighborhood high school. I was up against students who were taking AP courses since their junior year of high school.” Jocelyn saw her early work experiences and professional development sessions as an opportunity to build skills and show skills that she already had. “I enjoyed the professional development sessions,” said Jocelyn. “I learned about resume building, how to work effectively with my peers and we talked about our experiences and what we were learning, and I felt like that was a good reflection.” She began working in nurse recruitment and felt like it was something she could really do since she enjoyed the work and helping people connect with managers to find jobs. “In five years, I’m looking to have two more professional HR certifications and start to think about management positions within an HR department,” said Jocelyn. 2006 speaking, and took her challenging past to create a bright future of empowering women of color. “Where I grew up and where I came from, there were teen parents, drugs deals, I was verbally and physically abused, my father had passed away, my mom and other family members were in and out of prison,” said Terri, remembering the barriers she faced within in her community. “But these barriers inspired me, by showing me what I didn’t want my future to be. I saw college as my ticket out of poverty, so for me, it was a nonnegotiable.” Through motivational speaking, blogging, and cohosting a podcast, Terri’s mission is to create a supportive space and inspire youth to overcome life’s obstacles. She urges youth to think about where they want to be and maximize resources around them to get there. “This program provides access to resources and people who can answer questions and point you in the right direction. Oftentimes, when kids come from backgrounds like me they don’t have people in their family that can hold their hand and help them achieve their goals. Using the resources provided to you is crucial,” said Terri. The following summer, she was connected to PNC Bank, where she learned interviewing skills. It was the first time I was interviewed with three people, and while she felt it was intimidating, it taught her how to remain calm under pressure and keep myself collected.” The summer after that, she was connected to PRWT Services, Inc. “While I knew that a job like the one at PRWT wasn’t what I wanted to do, at that job I was surrounded by women who were established in their field,” said Olivia, who was influenced by this and to this day mimics some of their routines. In 2010, a group of summber jobs participants and their supervisor, Sam, took a photo on the Benjamin Franklin Parkway. Years later, this photo serves as a reminder not only of her day exploring the city, but of the entire experience she had working and learning side by side with other young people throughout the summer. These were not just her summer colleages, but her friends. Today, Jessica’s passion for education continues to grow. As a sixth grade teacher at the Knowledge is Power Program (KIPP) Philadelphia Charter School, she strives to “make a difference in other children’s lives like somebody made in [hers].” She also helps her current students connect to summer jobs and career exposure programs, understanding how fundamental these programs are. Although this is a special reminder of her experience, what she learned from WorkReady extends beyond the limitations of a picture frame. Her first day of work at Temple University was also the first time she ever stepped foot on a college campus. Sitting in the classrooms, eating from the food trucks, and being mentored by Sam, who was a student at the time studying to be a pharmacist, inspired Jessica to be the first person in her family to attend college. Jessica graduated with a Bachelor of Arts in English from Temple University, the very campus where she had her WorkReady experience, she also went on to earn her master’s degree at Relay Graduate School of Education. While a summer job may seem like a just snapshot in life, it’s actually a foundational frame of tools and skills youth will need and use to be successsful in the future of work and creates memories that will last a life time. Kimberly Pham Born and raised in Kensington, Kimberly grew up in what she calls a toxic environment. There was a lot of violence, trauma, and her brother was abusing drugs. During seventh grade, Kimberly lost interest in school and began skipping class, ultimately leading to truancy and involvement with the Juvenile Justice System. “I recognized as a young person that there are different learning environments,” said Kimberly. “There were personal barriers that I faced, but also systemic barriers along my journey, too” She recognizes that access to resources and supports aren’t existent in Kensington, a community that she believes is fractured. After returning from the Juvenile Justice System, she realized what she needed to do in order to have a future that she felt was better. When she got home, Kimberly re-engaged with her neighborhood high school. Unfortunately, she once again found herself in the same environment ultimately leading her to disconnect again. Through her case worker, Kimberly was connected to District 1199C Training & Upgrading Fund, one of PYN’s providers, who connects out-of-school youth without a credential to education support and into a career pathway. 2010 “I received a lot of support, not only from District 1199C, but from PYN too,” said Kimberly who received her GED in 2009 by the time she was 18. She then began earning her associate’s degree from Eastern University in early childhood development, while working in a daycare. After earning her associates, Kimberly began working in the public service—learning more about structures, systems and opportunities for young people. She is currently studying social work at Temple University and plans to graduate in 2020. Kim was nominated to be a young person on the Youth Council and eventually transitioned to the Project U-Turn steering committee. “I was able to have a voice in this work and bring my experience of the different opportunities and pathways as well as my journey to the table,” said Kimberly. “Young people shouldn’t have to go through so many different trajectories to figure out how to get a diploma.” She currently advocates locally and nationally to improve the conditions for young people by reshaping the narrative of communities and their young residents. She is an event manager for Opportunity Youth United, a movement of young leaders who are collaborating for a change to increase opportunities for young people. previous bank experience, which disqualified many of Cherelle’s peers. After graduating college in 2016, Cherelle moved to Washington D.C. to work for the Mennonite Central Community. In this role, she led legislative reform regarding criminal justice, gun violence and racial justice. Currently, she works in the workforce development field in Philadelphia assisting those on probation and parole to find long-term employment opportunities. Cherelle enjoys making a difference in the world, and her work reflects her passion. “It’s all because of my connections,” Cherelle states. She continues to stay connected with her colleagues from the banking industry, but she has begun to broaden her network to members of Congress and their staff. Tien Tran Tien Tran was born in Vietnam and immigrated to the United States when he was ten years old. He lived on the west coast for three years before settling in Northeast Philadelphia. Tien was introduced to the world of work through the summer jobs program. Through this experience he had employment opportunities at Drexel University, the Philadelphia Water Department and Onion Flats, a developer, architecture and building company. 2012 engineering and economics. Throughout his college career, he worked in various fields and continued to try new things carrying both the experience and the lessons he learned from his summer jobs, which helped shape his decision to combine his love of construction with his passion for policy. Growing up in South Philly, Kevin was always at the Charles Santore Library branch of the Free Library of Philadelphia. After inquiring about how to get more involved, he learned about the summer job opportunity. During his first year of WorkReady, Kevin was a summer literacy coach and created lesson plans and organized education activities to help keep kids reading and stimulate their education. That summer taught him how to work with a very diverse customer base and become a better communicator. Darius Saxby Starting in 2014, Darius was connected to PYN’s career exposure program through a counselor who told him and his mother about it. They recognized that this would be a great opportunity to explore various careers while learning about the various skills associated with those careers. That summer, Darius went on field trips observing career opportunities and learned what it takes to be a counselor—his original career goal. The following summer, he worked as a camp counselor gaining experience in workforce skills. These jobs would help build his resume and his workforce skills which would come in handy as Darius was once working three jobs while going to school. Darius grew up in North Philadelphia in Kensington and attended High School of the Future, in West Philadelphia. Throughout school, he never missed a day and prides himself on his perfect k-8 attendance. Through school, he was connected to the Hub at PA CareerLink® West, a PYN pilot program that connects young people who live, work, or go to school in the West Philadelphia Promise Zone with education and employment opportunities. and prepared him for interviews. It also led him to an employment connection at The Chamber of Commerce for Greater Philadelphia. “I was the youngest person working at the Chamber,” said Darius. “I was very shy, but I was able to open up and became close to people who worked there. I remember Patty, she would always help me, and I call her my mother of the workplace.” Being in a professional setting, Darius learned a lot about professionalism, sharpened his networking skills and grew his professional network. His experience with the Chamber was so positive, that they were able to hire Darius as an employee. “As I was getting older, I became open-minded and started thinking about new ideas and new ways of life,” said Darius. “So, since business interested me, I became curious in learning more.” This experience inspired him to want to become an entrepreneur and own two of his own businesses—an e-commerce business as well as a franchise. He also received a letter of recommendation from the Chamber, which helped him to receive a scholarship for college. Today, he is a college student at LaSalle University studying computer science. “I didn’t know where I was going, if I was going to finish school,” said Justin. “Because my oldest brother and my sister went a different route and earned their GED, my mother thought that was the best option so that I could move on with my life.” That year, Justin and his family faced a lot of challenges, and he had recently lost his dad. “I was just skating by trying to find who I was as a person,” said Justin. After enrolling at E3 Power Center West, Justin was approached about an opportunity called Post-Secondary Bridging, a pilot program that re-engages young people who are disconnected from high school to be successful in dual enrollment. While Justin was finishing up his GED, he was also taking classes at the Community College of Philadelphia (CCP). “Before they came into my life, I didn’t know what I wanted to do with my career, or if I thought that I could potentially have one,” said Justin. “And then after I met them, they made the transition a little bit easier for me to decipher what it is and what I wanted to do.” Through the program, Justin learned the ins and outs of how to be a successful college student. He learned how to take good notes, effectively communicate with professors, write papers, fill out FASFA, look for grants and find different scholarship opportunities. Growing up in West Philadelphia, Justin grew up with his mother, grandmother and siblings. Being shy and uncomfortable around people, Justin found himself not having friends at school. Then due to financial struggles, he and his mother made the decision to withdraw him from private school. They tried various alternatives such as cyber school, however Justin was not receiving the hands-on and one-on-one attention he needed. That was when Justin was connected to E3 Power Center West, managed by PYN. that I definitely want to pursue and something I’m capable of doing,” said Jude. “It was what I needed to establish myself as a productive student, not only in the classroom, but outside.” In summer 2018, Jude was hired as a seasonal employee at PYN in the communications department while also working part-time as a sales supervisor at Michael Kors and continuing to advocate for youth. Jude has spoken at School District of Philadelphia School Reform Commission (SRC) meetings, she is a mayoral appointee for the Philadelphia Youth Commissioner and chairman of Jobs and Economics committee of Philadelphia Youth Commission. She represented the United States in 2018 at the United Nations International Youth for Human Rights summit and works with the New Sanctuary Movement of Philadelphia, an interfaith, multicultural immigrant justice movement organizing communities to help immigrants, regardless of status. On Mondays and Tuesdays, Curtis and his colleagues would work at the North Philadelphia Guild House Farm where they would harvest seasonal crops. This type of work taught Curtis and his peers patience, teamwork and communication skills and offered hands-on agricultural science, customer service and sales experience. On Wednesdays, the group would sell their goods at Common Ground Farmer’s Market on Broad Street in North Philadelphia. Through the WorkReady program provided by Greener Partners, Curtis learned how to market products to consumers as well as financial accountability using a cash register in a fast-paced environment. On Mondays and Wednesdays, Greener Partners would take the group to a senior living community to create healthy meals using fresh garden goods for the residents. When Richette walked into the CareerLink® in West Philadelphia to print out copies of her resume, she walked out as a participant of the Hub at PA CareerLink® West, a pilot program managed by PYN. “The lady at CareerLink® directed me to the Hub, where I started talking to the youth navigator about life, my goals and what I actually needed in that moment,” said Richette. As a participant, she was able to receive resume support, interview preparation, career clothes through a partnership with Career Wardrobe and a connection to employment and college. disruptions in her home life caused the quality of her schoolwork to decline. “When I aged out of foster care, I turned 18 and it was February of my senior and I had to figure out how to support myself,” said Richette. “School at that point just wasn’t a priority, so I went to my senior prom and never came back.” After one year of being disconnected from high school, Richette made multiple trips to the reengagement center at SDP trying to find a program that would fit her schedule and address her needs. After enrolling in the A Plus Program, she worked hard and had the determination to get her diploma and enrolled in Job Corps. “Everything works out the way it’s supposed to,” said Richette. Thanks to the Hub, she started attending college full-time in 2017 majoring in paralegal studies and had an internship at PYN in the compliance department. She has joined the PYN team for two summers juggling a full-time schedule, waitressing on weekends and taking 15 credits. “Since I’ve been at CCP, I feel like my GPA and my performance is well because of the support from everyone at PYN,” said Richette. “I’m very supported and have gained a network of people that I can lean on and ask for help with life, school, anything. Snapshots was written in part by summer jobs alumni who worked at PYN in 2017 and 2018. PYN’S VISION: To alleviate poverty and inequity through education and employment. 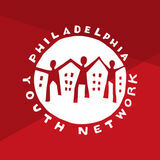 Philadelphia Youth Network (PYN) is a solutions builder forging together significant players to alleviate a root cause of poverty by preparing 12-24-year-olds to become productive working adults. Our work is grounded in the understanding that young people need access to both education and employment, proven factors in being prepared for a career. With a track record of increasing impact, PYN funds and brokers action with the right partners to collectively address barriers. PYN constructs systems to create change, while innovating to meet evolving needs. Together with our partners, PYN dramatically changes the trajectory of individuals’ lives by giving voice to underserved youth, and ultimately creating a pipeline for an educated, engaged workforce.